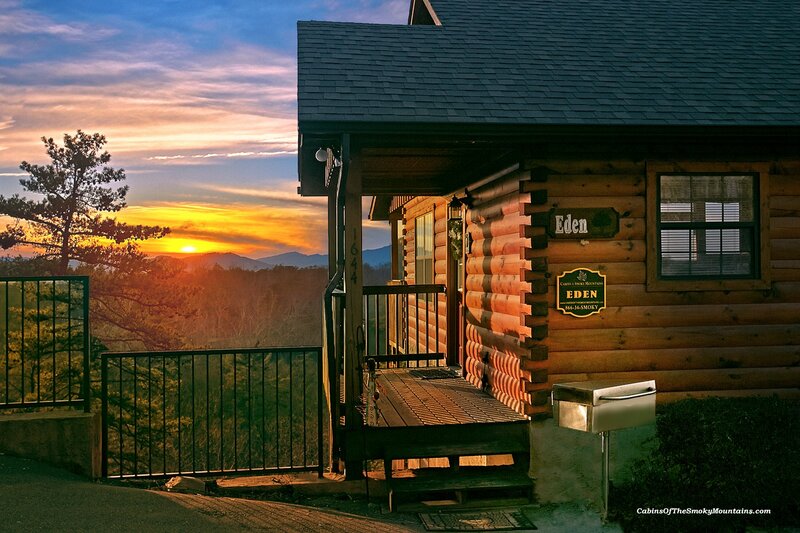 Eden is a 4-bedroom luxury cabin in Hidden Springs Resort, a premier location with wonderful views of the Smoky Mountains, just a stone’s throw from Dollywood, and minutes from downtown Pigeon Forge. 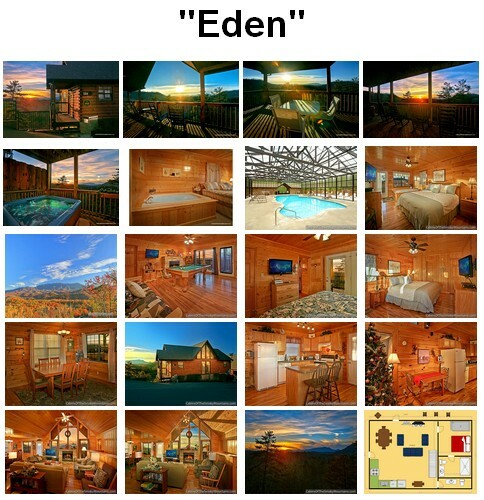 Eden is a modern cabin loaded with amenities for comfort and entertainment. Enjoy the gorgeous view from your hot tub on the deck, or through the windows by your bedside jacuzzi. If you’re in the mood for even more water, stroll over to the resort’s indoor pool, kept at a friendly temperature year-round for the guaranteed space to laze away some time. Eden can sleep 10 people comfortably, with four king bedrooms and bathrooms and a queen sleeper and half bath – the affordable way for friends and family to gather in comfort and rediscover the art of relaxing. 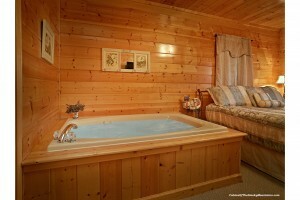 Fun is never far away in this Smoky Mountain cabin, with home theater, pool table, multiple arcade and console games, half a dozen TVs and several media players. The full kitchen teams up with the gas BBQ to take care of meals in casual style, with rocking chairs on the deck to contemplate the mountain skies and the famous sunsets and sunrises of the Smokies. If marriage or business is on your mind, the wedding facility and the conference center are both at your disposal. Designed for privacy yet not deeply tucked away in the forest, Eden is a perfect cabin for a group working retreat or to gather around the bride and groom for that magic day. 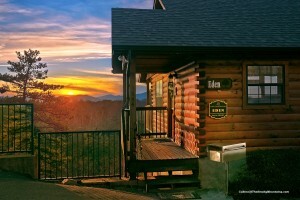 And if you can bear to leave your spacious cabin with its great views and get out in the world, Eden is just up the road from all the wonders of Dollywood and Splash Country, with Pigeon Forge, Gatlinburg and Great Smoky Mountain National Park easily at hand with a short drive. Click here to check availability and book Eden for your next trip!